Mary Godwin's mother died when Mary was eleven days old; afterwards, Mary and her older half-sister, Fanny Imlay, were reared by their father. When Mary was four, Godwin married his neighbour, Mary Jane Clairmont. Godwin provided his daughter with a rich, if informal, education, encouraging her to adhere to his liberal political theories. 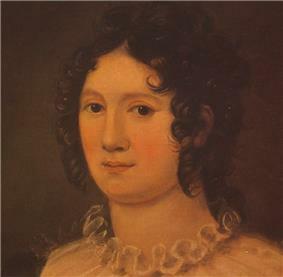 In 1814, Mary Godwin began a romantic relationship with one of her father’s political followers, the married Percy Bysshe Shelley. Together with Mary's stepsister, Claire Clairmont, they left for France and travelled through Europe; upon their return to England, Mary was pregnant with Percy's child. Over the next two years, she and Percy faced ostracism, constant debt, and the death of their prematurely born daughter. 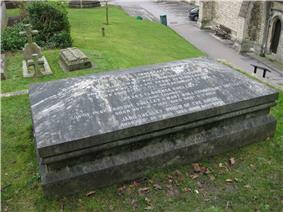 They married in late 1816 after the suicide of Percy Shelley's first wife, Harriet. Mary Shelley was born as Mary Wollstonecraft Godwin in Somers Town, London, in 1797. 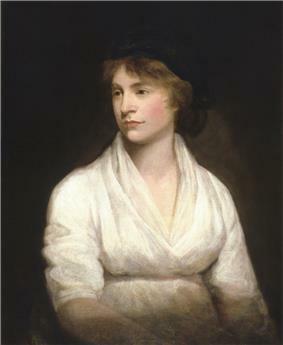 She was the second child of the feminist philosopher, educator, and writer Mary Wollstonecraft, and the first child of the philosopher, novelist, and journalist William Godwin. Wollstonecraft died of puerperal fever ten days after Mary was born. 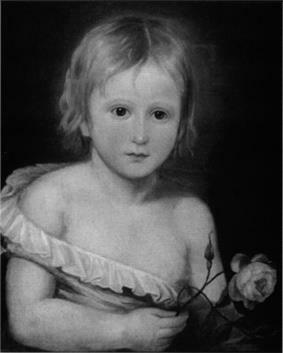 Godwin was left to bring up Mary, along with her older half-sister, Fanny Imlay, Wollstonecraft's child by the American speculator Gilbert Imlay. A year after Wollstonecraft's death, Godwin published his Memoirs of the Author of A Vindication of the Rights of Woman (1798), which he intended as a sincere and compassionate tribute. However, because the Memoirs revealed Wollstonecraft's affairs and her illegitimate child, they were seen as shocking. Mary Godwin read these memoirs and her mother's books, and was brought up to cherish her mother's memory. Mary Godwin may have first met the radical poet-philosopher Percy Bysshe Shelley in the interval between her two stays in Scotland. 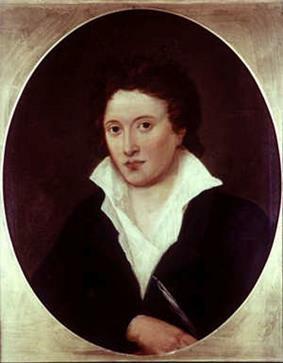 By the time she returned home for a second time on 30 March 1814, Percy Shelley had become estranged from his wife and was regularly visiting Godwin, whom he had agreed to bail out of debt. 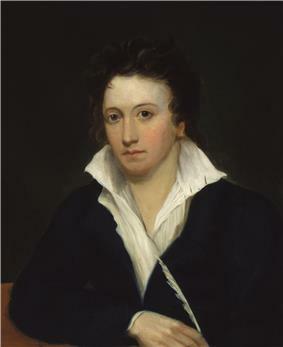 Percy Shelley's radicalism, particularly his economic views, which he had imbibed from William Godwin's Political Justice (1793), had alienated him from his wealthy aristocratic family: they wanted him to follow traditional models of the landed aristocracy, and he wanted to donate large amounts of the family's money to schemes intended to help the disadvantaged. Percy Shelley therefore had difficulty gaining access to money until he inherited his estate because his family did not want him wasting it on projects of "political justice". After several months of promises, Shelley announced that he either could not or would not pay off all of Godwin's debts. Godwin was angry and felt betrayed. Mary and Percy began meeting each other secretly at Mary Wollstonecraft's grave in St Pancras Churchyard, and they fell in love—she was nearly seventeen, he nearly twenty-two. To Mary's dismay, her father disapproved and tried to thwart the relationship and salvage the "spotless fame" of his daughter. At about the same time, Mary's father learned of Shelley's inability to pay off the father's debts. Mary, who later wrote of "my excessive and romantic attachment to my father", was confused. She saw Percy Shelley as an embodiment of her parents' liberal and reformist ideas of the 1790s, particularly Godwin's view that marriage was a repressive monopoly, which he had argued in his 1793 edition of Political Justice but since retracted. On 28 July 1814, the couple eloped and secretly left for France, taking Mary's stepsister, Claire Clairmont, with them, but leaving Percy's pregnant wife behind. In May 1816, Mary Godwin, Percy Shelley, and their son travelled to Lord Byron, whose recent affair with Claire had left her pregnant. The party arrived at Geneva on 14 May 1816, where Mary called herself "Mrs Shelley". Byron joined them on 25 May, with his young physician, John William Polidori, and rented the Villa Diodati, close to Lake Geneva at the village of Cologny; Percy Shelley rented a smaller building called Maison Chapuis on the waterfront nearby. They spent their time writing, boating on the lake, and talking late into the night. 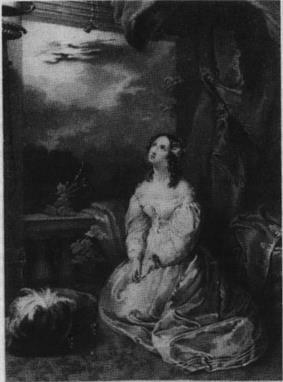 In September 2011 the astronomer Donald Olson, after a visit to the Lake Geneva villa the previous year, and inspecting data about the motion of the moon and stars, concluded that her waking dream took place "between 2am and 3am" 16 June 1816, several days after the initial idea by Lord Byron that they each write a ghost story. 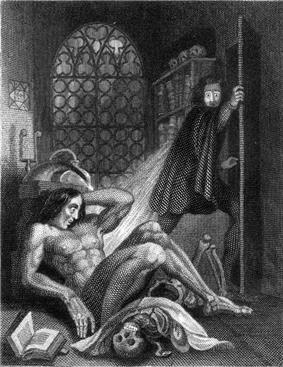 Since Frankenstein was published anonymously in 1818, readers and critics argued over its origins and the contributions of the two Shelleys to the book. 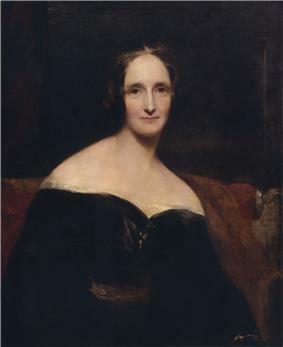 There are differences in the 1818, 1823, and 1831 editions, and Mary Shelley wrote, "I certainly did not owe the suggestion of one incident, nor scarcely of one train of feeling, to my husband, and yet but for his incitement, it would never have taken the form in which it was presented to the world." She wrote that the preface to the first edition was Percy's work "as far as I can recollect." James Rieger concluded Percy's "assistance at every point in the book's manufacture was so extensive that one hardly knows whether to regard him as editor or minor collaborator" while Anne K. Mellor later argued Percy only "made many technical corrections and several times clarified the narrative and thematic continuity of the text." At Marlow, Mary edited the joint journal of the group's 1814 Continental journey, adding material written in Switzerland in 1816, along with Percy's poem "Mont Blanc". The result was the History of a Six Weeks' Tour, published in November 1817. 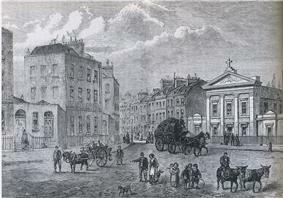 That autumn, Percy Shelley often lived away from home in London to evade creditors. The threat of a debtor's prison, combined with their ill health and fears of losing custody of their children, contributed to the couple's decision to leave England for Italy on 12 March 1818, taking Claire Clairmont and Alba with them. They had no intention of returning. 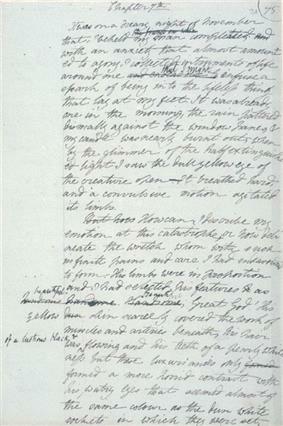 Certain sections of Mary Shelley's novels are often interpreted as masked rewritings of her life. Critics have pointed to the recurrence of the father–daughter Lord Byron; and the utopian Adrian, Earl of Windsor, who leads his followers in search of a natural paradise and dies when his boat sinks in a storm, is a fictional portrait of Percy Bysshe Shelley. However, as she wrote in her review of Godwin's novel Cloudesley (1830), she did not believe that authors "were merely copying from our own hearts". William Godwin regarded his daughter's characters as types rather than portraits from real life. 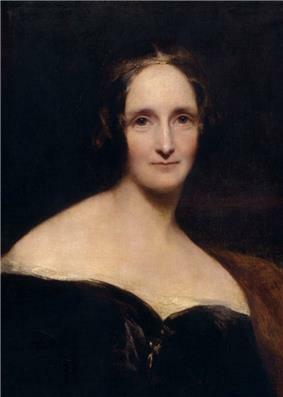 Some modern critics, such as Patricia Clemit and Jane Blumberg, have taken the same view, resisting autobiographical readings of Mary Shelley's works. ^ "Journal 6 December—Very Unwell. 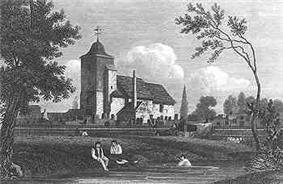 Shelley & Clary walk out, as usual, to heaps of places...A letter from Hookham to say that Harriet has been brought to bed of a son and heir. Shelley writes a number of circular letters on this event, which ought to be ushered in with ringing of bells, etc., for it is the son of his wife" (quoted in Spark, 39). ^ Paragraph 6, Introduction to the 1831 edition of Frankenstein; Sunstein, 118. ^ Bridgwater, Patrick (2004). De Quincey's Gothic Masquerade. Rodopi. p. 55. ^ a b Seymour, 195–96. Brewer, William D. "The Fortunes of Perkin WarbeckWilliam Godwin, Chivalry, and Mary Shelley's ". Papers on Language and Literature 35.2 (Spring 1999): 187–205. Rpt. on bnet.com. Retrieved on 20 February 2008. Orr, Clarissa Campbell. 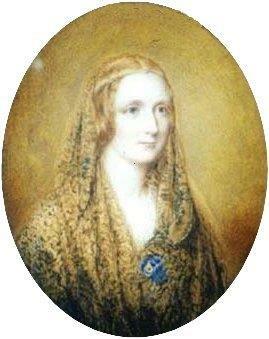 ", the Celebrity Author, and the Undiscovered Country of the Human HeartRambles in Germany and ItalyMary Shelley's ". Romanticism On the Net 11 (August 1998). Retrieved on 22 February 2008. White, Daniel E. "', Italy, and the Aesthetic of DesireValpergaThe god undeified': Mary Shelley's ". Romanticism on the Net 6 (May 1997). Retrieved on 22 February 2008.